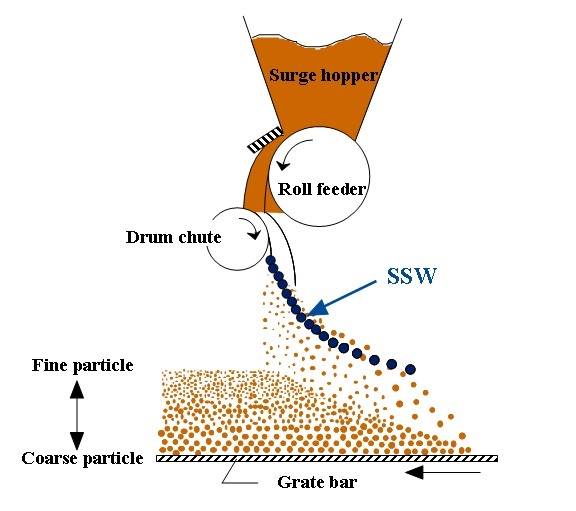 The Segregating Slit Wire (SSW) is a system for feeding the raw material for sintering, which has been mixed and formed into granules, into the sinter machine’s pallet cars in the best state. 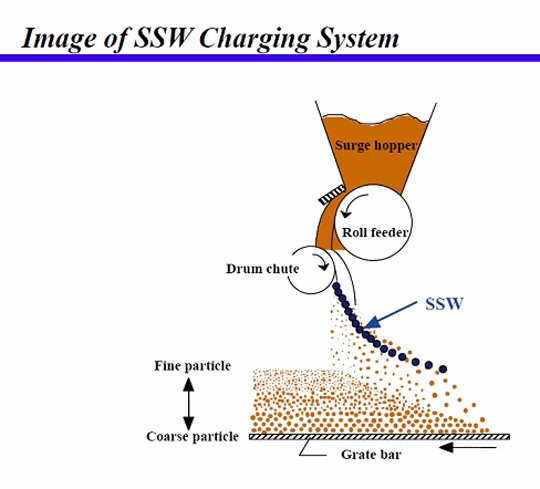 In the SSW system, wires are set up in an arc at the charging end of the feeder. The wires are spaced to ensure that larger granules will fall into the bottom layer on the pallet, while the smaller granules will go on the top layer. This improves permeability and achieves both energy-saving and enhanced productivity of a sinter plant. It is possible to make the most use of an existing sinter machine while retrofitting the charger with an SSW. This makes it possible to minimize the time and cost required for modification and installation. The SSW system was developed by JFE Steel Corporation in 1990. The expertise was offered to Steel Plantech in 2006, which launched sale of the SSW system. In the SSW system, wires are set up in an arc at the charging end of the feeder. The wires are spaced to segregate the granules and ensure that larger granules will fall into the bottom layer on the pallet, while the smaller granules will go on the top layer. The objective is to improve permeability of the sinter layer, and achieve both energy-saving and enhanced productivity of a sinter plant. 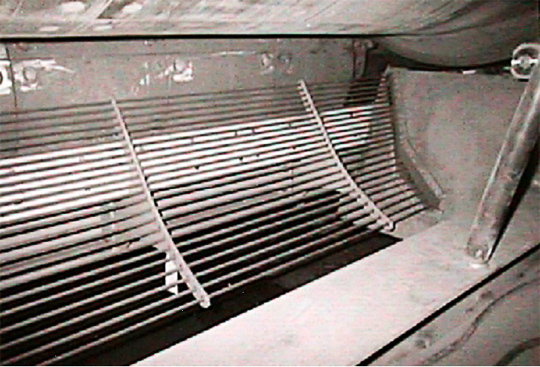 An automatic cleaning mechanism removes raw material buildup on the wires. This prevents any clogging of the wires by the raw material and maintains a stable segregation effect.